Cleans and detoxifies your scalp and volumizes hair using powerful antioxidants which help provide healthier hair while cleansing away toxins and DHT. And for those not losing hair, this is an outstanding product that promotes longer and quicker hair growth. Are you struggling with thinning hair? Looking to naturally promote the growth of fuller, healthier hair? Perhaps you want to prevent hair loss? HairGia’s Hair Loss Rejuvenator Shampoo is filled with natural botanicals known to aid hair in growing in healthy, full, and strong. Aloe vera, for instance, has been shown to promote healthy hair growth, while Hawthorn makes hair full and silky smooth. 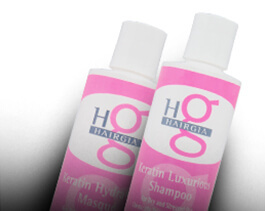 Couple our hair growth shampoo with the Hair Loss Rejuvenator Conditioner for optimal hair growth. DIRECTIONS: Apply Hair Loss Rejuvenator shampoo to wet hair. Gently work through hair and leave in for 2-3 minutes. 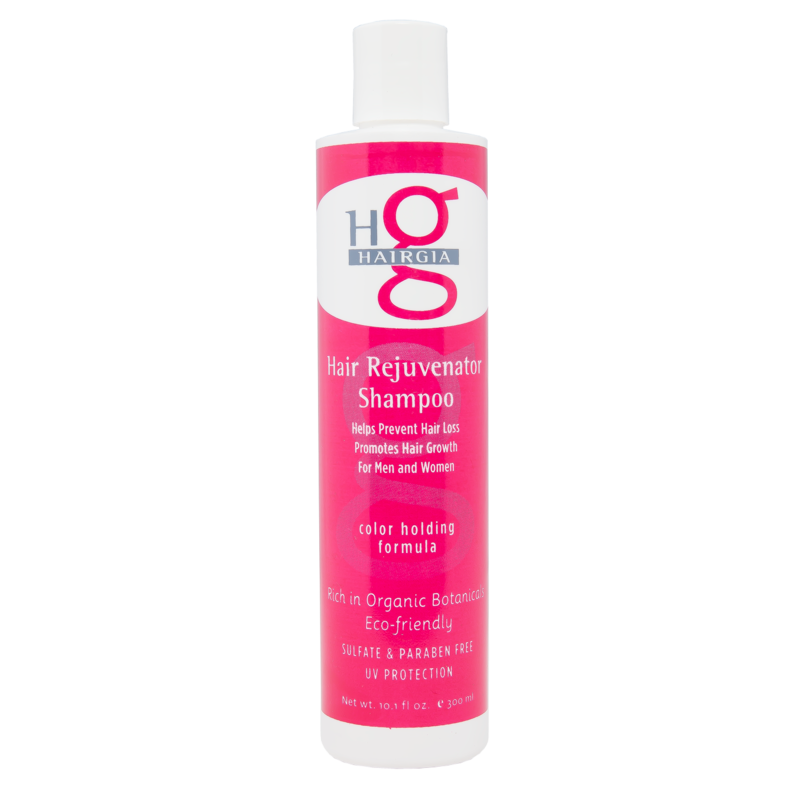 Rinse and then use HairGia Hair Loss Rejuvenator Conditioner to further encourage healthy hair growth. Still looking for a little extra volume? Use our Volume Mousse to achieve your desired style and lock it in place with our gentle yet strong Creative Hair Spray! 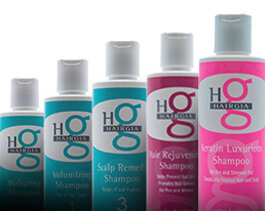 We at HairGia are dedicated to creating the best haircare products for our amazing customers. Free of sulfates and created with natural botanicals such as aloe vera, rosemary, and ginseng, our line of shampoos, conditioners, and styling products nurture your hair and scalp leaving you with shiny, healthy hair. Our products are Earth-friendly and never tested on animals. Contact us today with any questions, comments, or concerns. We’d love to hear from you! My hair had been falling out both in & out if the shower. A beauty specialist at Naimies in LA, recommended this as well as the conditioner. Ever since my first application, my hair stopped falling out & it became thicker over time! I have turned 5 friends on to this product. I love, love, love it! Thank you!